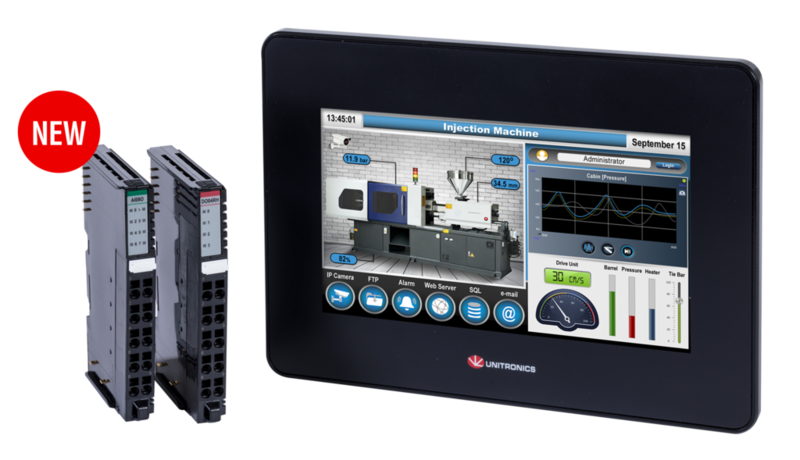 Unitronics’ recent launch of a new line, UniStream Remote I/O, greatly expands the reach of UniStream, the award-winning PLC + HMI series. 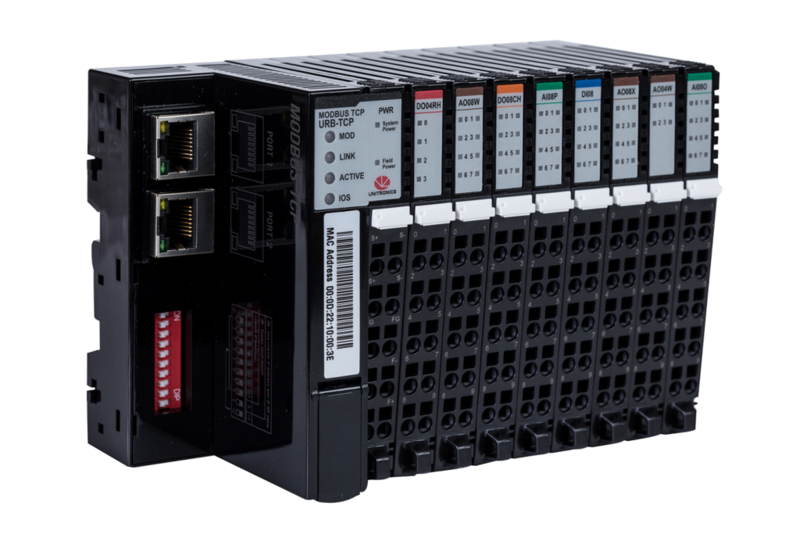 The new line comprises an Ethernet-based Remote I/O adapter and a broad range of Remote I/O modules, each offering a different configuration of analog and digital I/O. 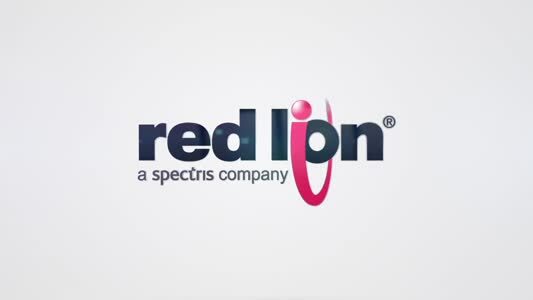 A single Remote I/O adapter can support up to 12mm-wide I/O modules. Each adapter comprises two Ethernet ports; this enables users to link an adapter to a controller, and then daisy-chain adapters to support up to 8 adapters per controller, enabling to increase the total number of I/Os supported by a single controller.